Ernakulam is a city in the state of Kerala in India. Located in the south it's surrounded by greenery all around. Ernakulam RTO operates as per the provisions of motor vehicle act of 1988. It's managed by the transport commissioner. A smooth flow of traffic in the city of Kerala is the responsibility of Ernakulam RTO. 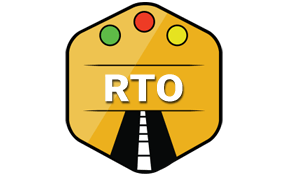 RTO in Ernakulam is responsible for providing the driving license to all who drives in the city. Granting of the driving license is subject to a certain process. Individual must share the compulsory papers and clear all the drivings tests. Driving license is issued in a day if the documents verification process and tests are successful. New vehicle registration is one of the most important tasks executed by Ernakulam RTO. Vehicle registration copy (RC) is a compulsory paper for all modes of transport. It is granted by Ernakulam RTO after proper checking of documents submitted by the owners of the vehicle. Ernakulam RTO issues learning license to individuals who are just learning driving. It is valid for the period of six months. Ernakulam RTO grants it as soon as it receives required documents from the aspirants. After the expiring of driving license, it must be renewed on time. Ernakulam RTO makes the entire process easy by granting the license renewal according to applicable terms and conditions. Road permit is an important task conducted by Ernakulam RTO. It is required to allow only the legal vehicles within the premises of the city. NOC is required as soon as the vehicle from other states is transferred to Ernakulam. A grace period of three months is allowed after that NOC is mandatory. Vehicle owners need to submit certain document along with a nominal fee. After scrutinizing their documents, NOC is granted within a short time. Road tax is applicable for all kinds of vehicles. The slab is different for different vehicles. Ernakulam RTO collects the tax as per the applicable slabs. Vehicles that run for tourists or are imported from other countries need special permission. Ernakulam RTO is authorized to grant such permissions. All kind of commercial vehicles cannot be driven in Ernakulam city without taking permits from it's RTO. Ernakulam RTO grants required permission after thoroughly checking the vehicles. Regional Transport Officer (RTO), 2 Floor, A 3 Block, Civil Station, Kakkanad, Ernakulam - 682030.